What is a Hygienically Clean Healthcare certification? 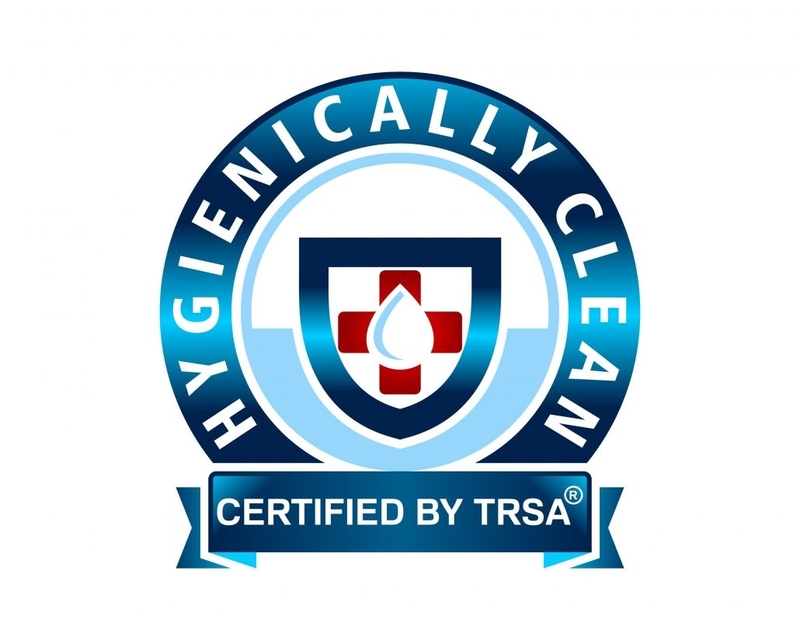 A Hygienically Clean Healthcare badge certifies that a laundry facility has been inspected and qualified by a third-party organization to ensure that the items they launder do not carry pathogens in levels that are deemed harmful to humans. The inspection is outcome-based and qualifies healthcare laundry facilities by testing actually laundered garments and linens for the presence of pathogens. Hygienically Clean does not qualify facilities based on their individual processes, water quality, or chemicals used in the cleaning and handling of textiles containing blood and infectious materials as long as they are compliant with the guidelines set by the OSHA for laundry facility workers. A facility is checked every four months to ensure that the integrity of their products is maintained even as other variables (i.e. water quality, equipment, employees, etc.) change. Protection against HAIs from medical linens and garments. The linens and garments processed by Hygienically Clean facilities are free from the presence of harmful pathogens. OSHA Compliance. Your hospital linens and garments are handled in strict compliance with the standards set by the OSHA for hospital linens, especially those that have been exposed to blood and other potentially infectious materials. Proper skills and handling training of crucial textiles and garments. Your hospital laundry is carried out by people who have been sufficiently trained and are highly skilled in handling these crucial items. Legal requirements for the handling of healthcare linen and laundry are sufficiently understood and met. Your laundry facility complies with the state and federal laws concerning hospital garments and textiles. Laundry facilities are compliant and effective. Your laundry service provider operates out of a working, legally compliant and effective processing facility. In the hands of a Hygienically Clean-certified laundry facility, you and your patients can rest assured that your linens and garments are handled professionally, expertly, and safely from pickup to delivery, helping you prevent incidents of linen-induced hospital-acquired infections (HAIs). MEDtegrity is Hygienically Clean Certified! MEDtegrity is more than just your best source for excellent quality linens, garments, and professional uniforms! We are also your Hygienically Clean-certified laundry authority and your number one choice for clean, safe, and truly hygienic linens, patient gowns, and professional medical uniforms! With MEDtegrity, you can rest assured that your garments and textiles are safe to use, bringing you and your patients invaluable peace of mind that you could never get from a non-Hygienically Clean-certified laundry facility. Contact MEDtegrity today at 888-893-3334 to learn more about what our Hygienically Clean facility can bring you!